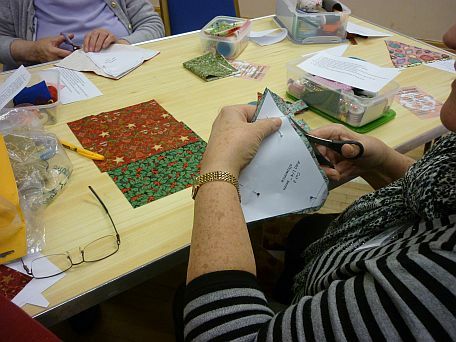 A very happy evening was spent with members exchanging cards, looking at each other's Christmas stitchings and admiring Show and Tell. 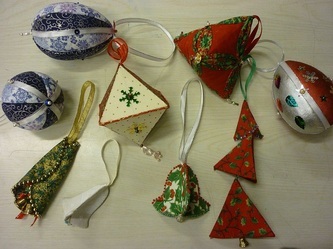 Mince pies, oranges and other tasty morsels were served. 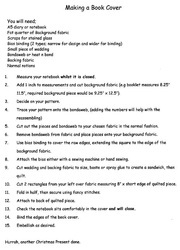 Michele prepared the instructions for us to make a small Christmas gift. 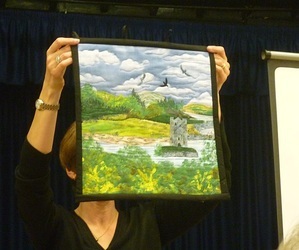 Wednesday 7th October 2012 - Jacky Hooton travelling! 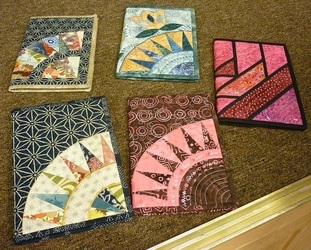 Michele Boyd demonstrated her method of making book covers. 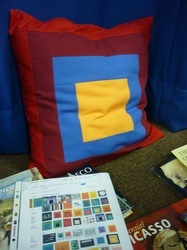 Don't forget we are having a Tombola at the Cathedral Exhibtion next year - these would be a very welcome prize! 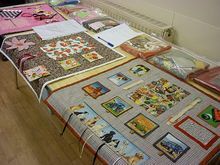 Barbara Harrison is encouraging members to make Adult Activity Mats for dimentia sufferers and has packs made up ready for putting together. 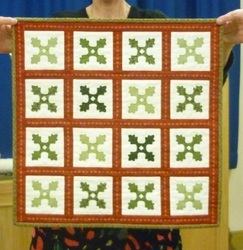 If you would like to help with this initiative then please contact her. 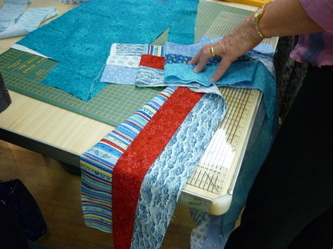 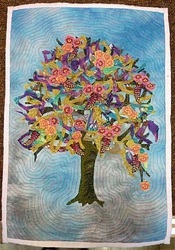 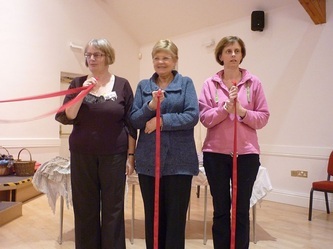 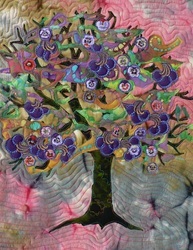 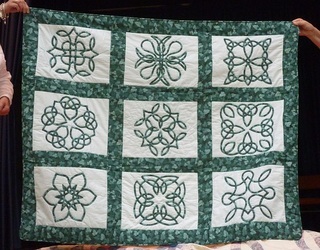 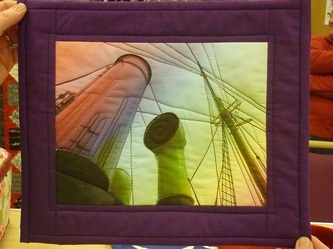 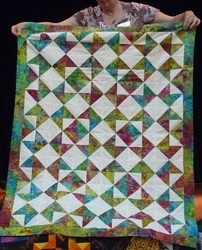 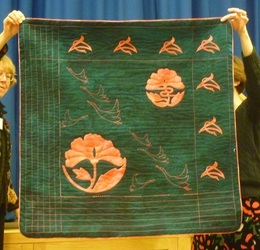 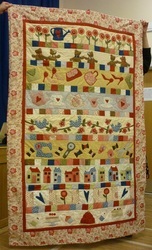 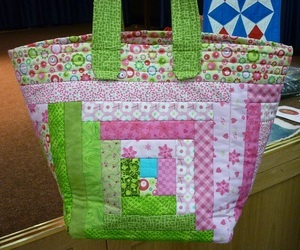 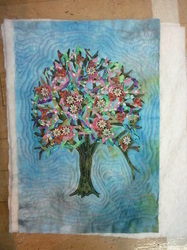 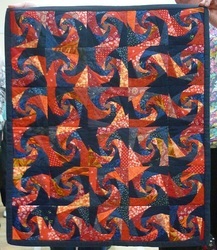 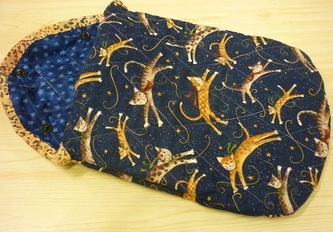 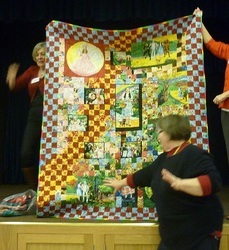 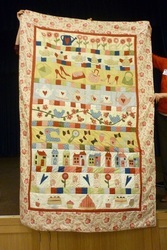 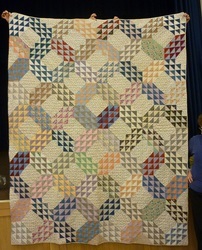 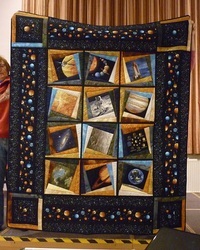 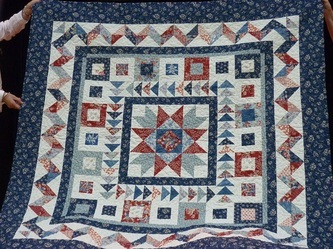 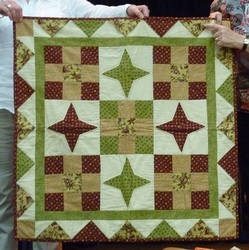 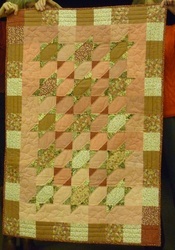 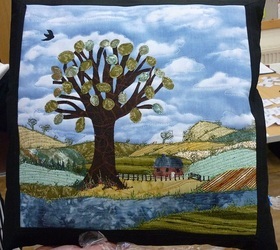 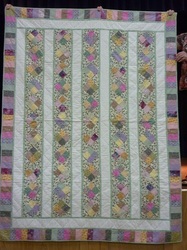 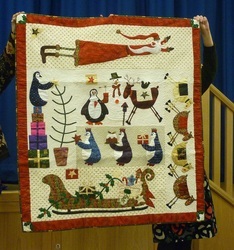 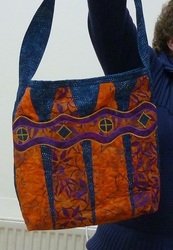 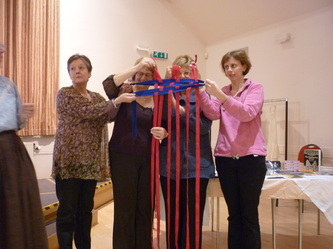 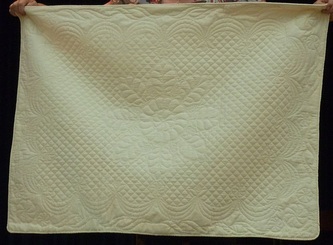 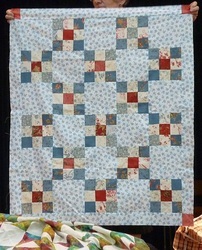 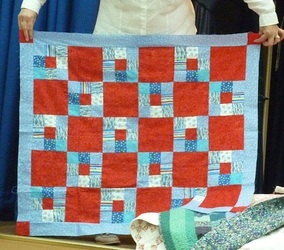 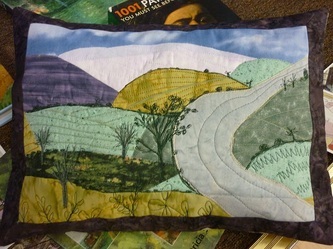 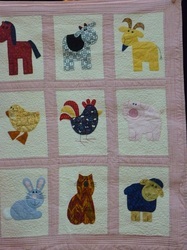 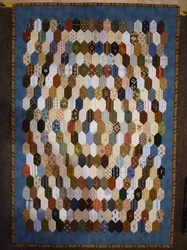 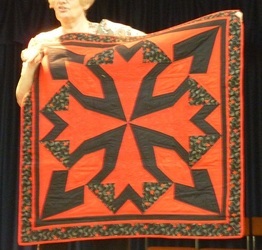 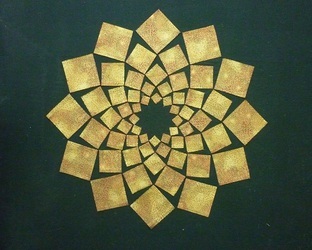 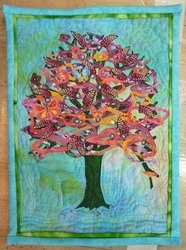 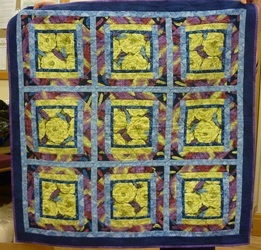 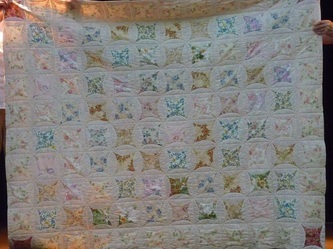 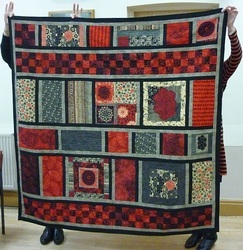 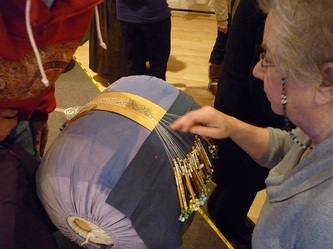 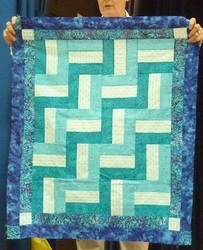 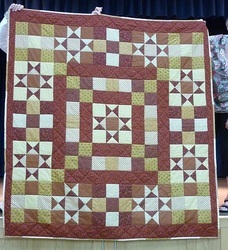 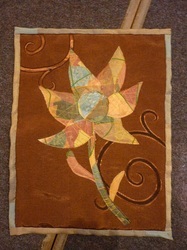 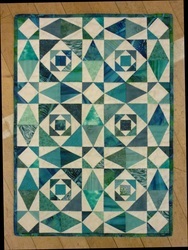 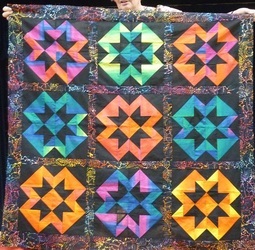 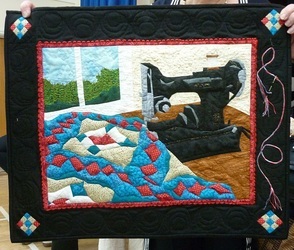 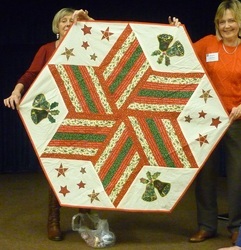 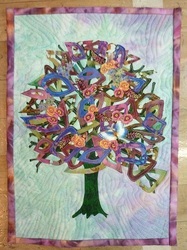 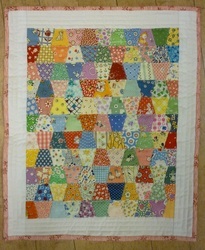 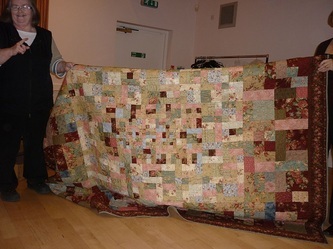 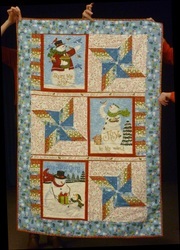 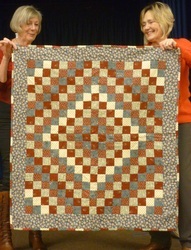 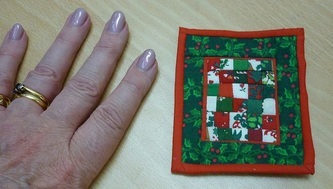 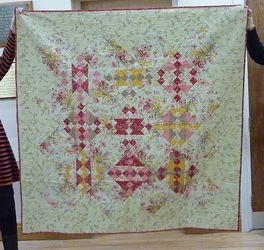 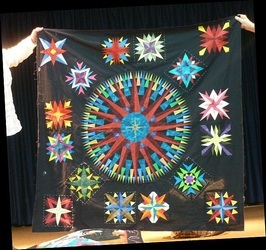 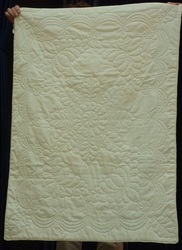 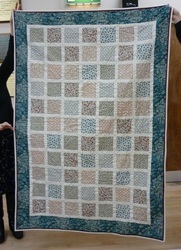 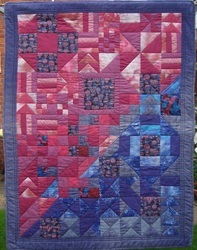 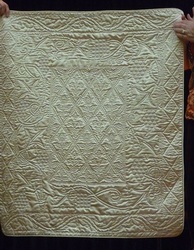 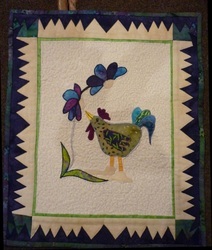 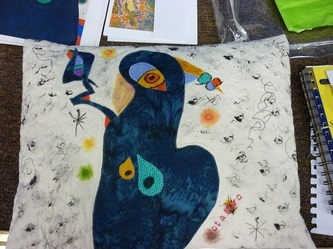 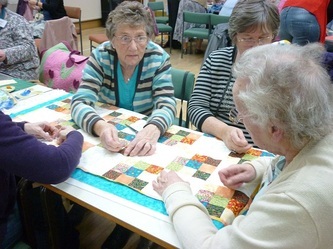 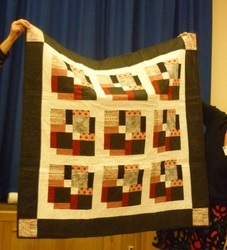 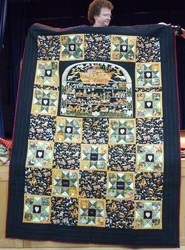 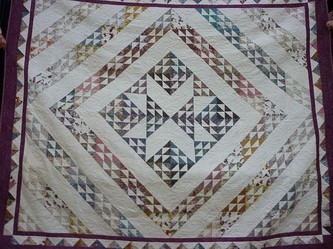 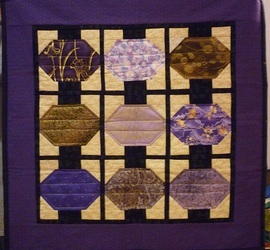 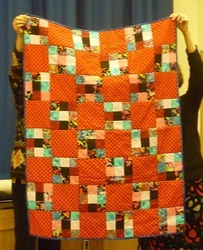 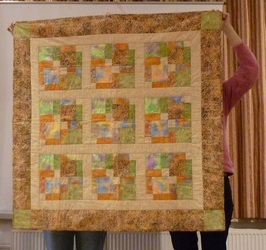 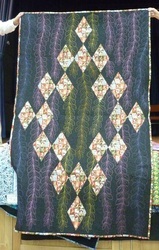 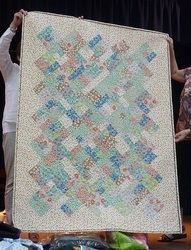 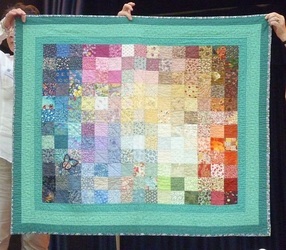 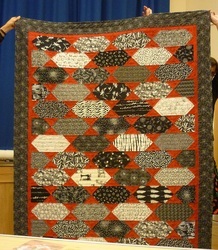 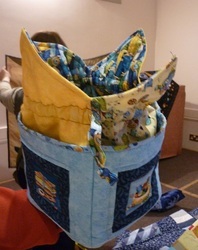 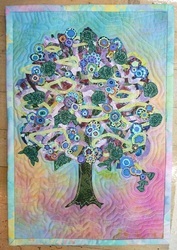 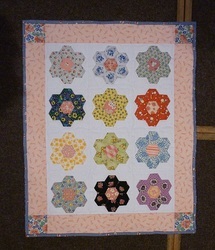 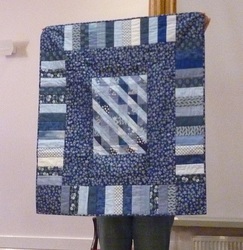 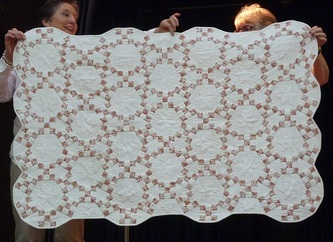 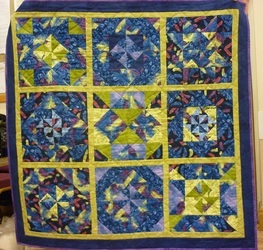 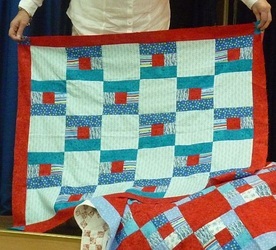 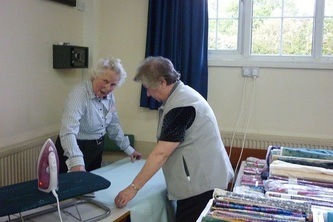 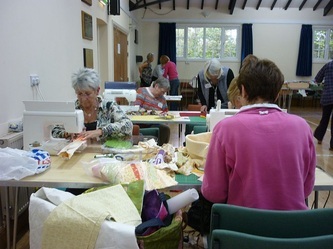 Wednesday 19th September 2012 - Janet Keenan's Quilting Journey - so far! 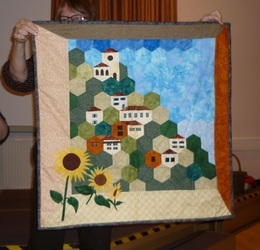 Janet is a well known speaker from Liverpool and she entertained us with her stories of how she started quilting and where she is up to now. 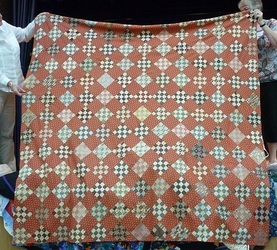 Her assistant, daughter Emma, probably had aching arms after holding up many quilts for us to see! 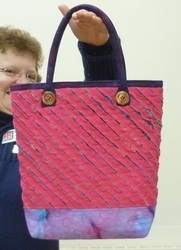 (Michele is used to it...). 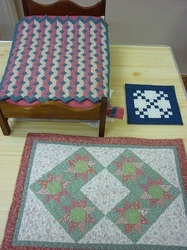 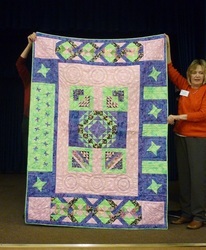 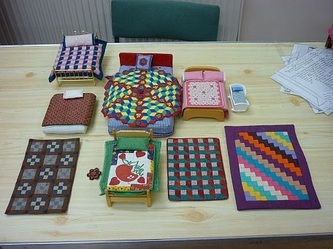 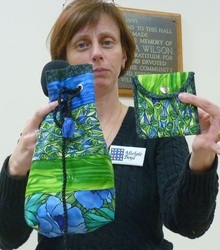 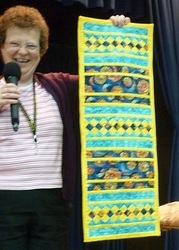 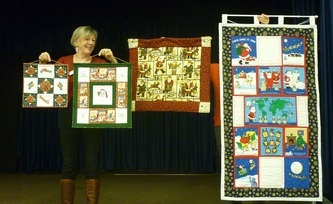 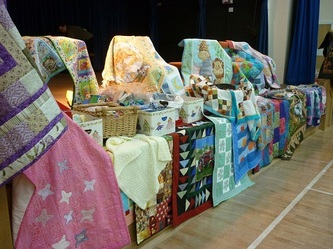 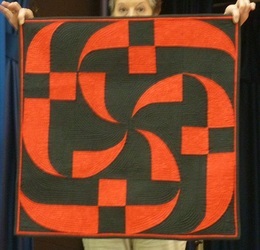 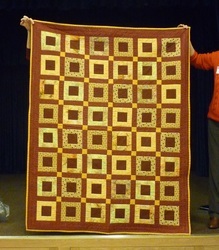 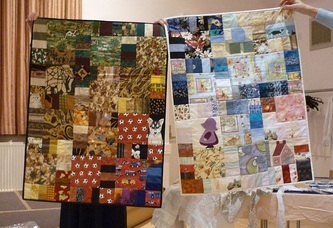 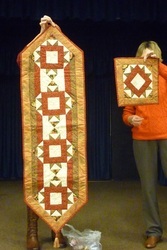 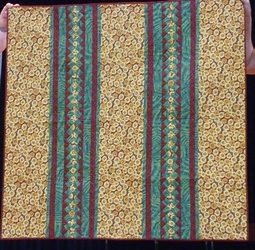 Here on the right is a slideshow of some of the quilts which she shared with us. 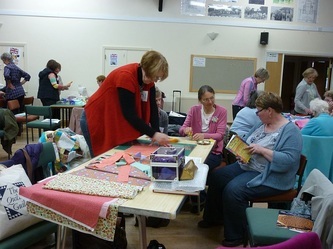 Members Showcase has become an enjoyable annual event where members are invited to bring along anything they have made regardless of how many or when it was made! 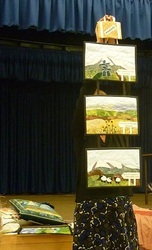 Here is what we enjoyed seeing. 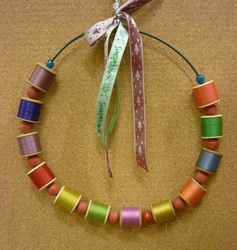 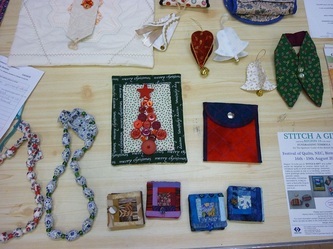 Maureen Hoyle was a member of the group from 1985 until 2003 and she made miniatures. 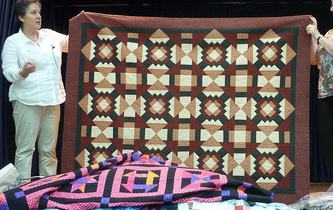 Her husband made the beds for the quilts to be displayed on. 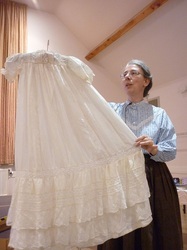 Her work was exquisite and correct in every detail of scale and use of fabric and some group members were lucky enough to buy items from her collection after she passed away. 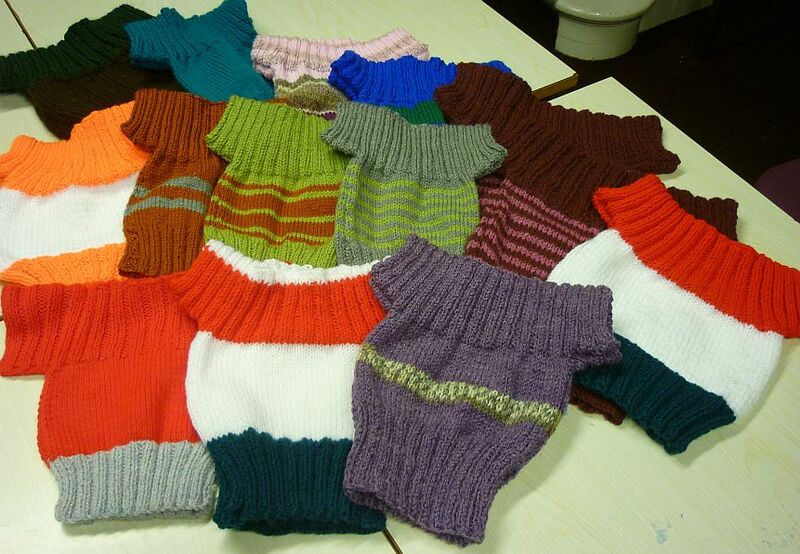 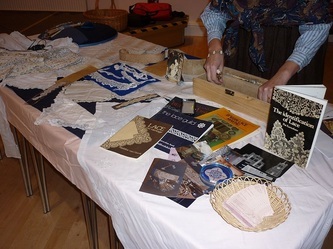 Here are pictures of the items brought to the showcase evening. 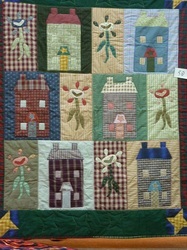 More can be seen at http://www.quiltfest.org.uk/exhibition-2002.html where Maureen was invited to exhibit at Quiltfest in 2002. 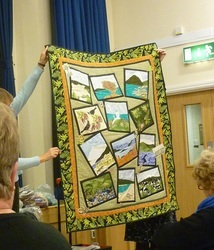 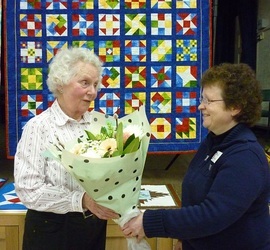 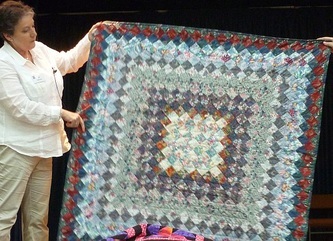 We had a wonderful talk by Lizzie who brought many of her quilts and other items to show us. 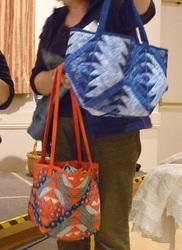 She was happy to pass some of these items around the audience for us to see the details. 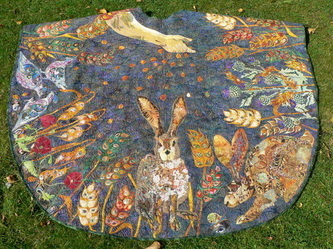 Her famous chasuble is a feast of activity showing hares and other animals scampering about. 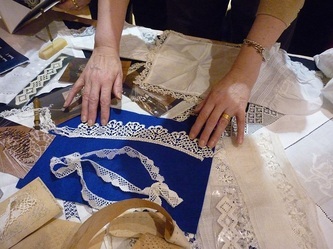 Karen dressed in Victorian costume brought along many examples of lace and gave us a very illuminating talk about its history. 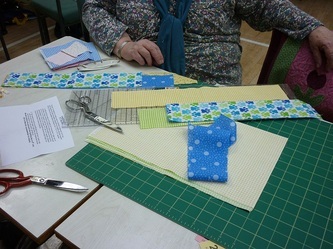 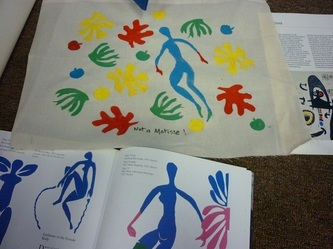 Some members became an example of how it is made - see images! 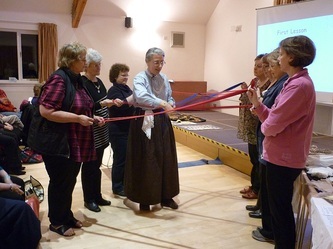 Chairperson, Catriona gave a very interesting and enjoyable Powerpoint presentation reminding us of all the events we had shared during the last 12 months. 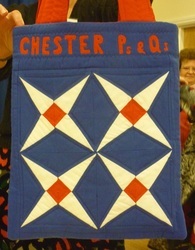 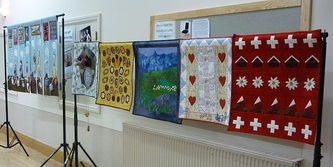 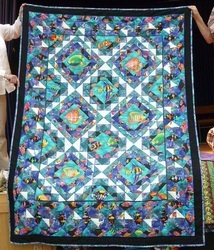 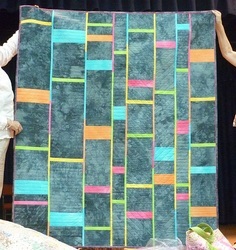 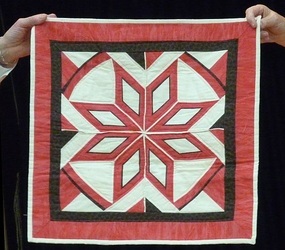 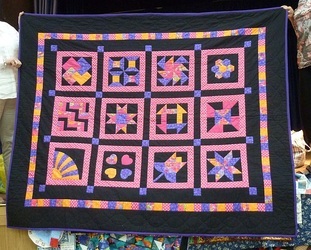 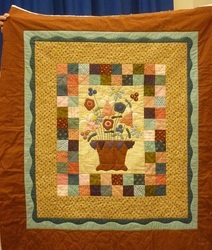 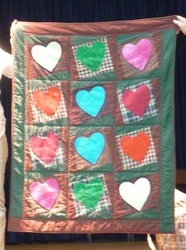 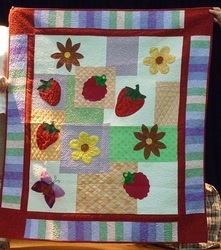 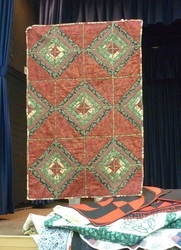 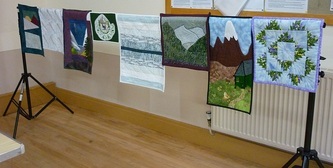 The group quilts were displayed around the hall. 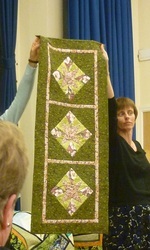 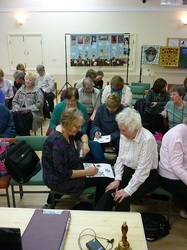 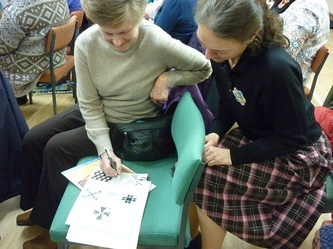 A short quilt related quiz completed the evening.